Of course, it would be foolish to endlessly speculate about issues for which there is no biblical evidence, but in the case of the question at hand, there is enough evidence to come to an exact conclusion. This question about the need of Christ’s death is based on the understanding that God is omnipotent, and therefore, He “can do anything.” This may seem a fitting definition for “omnipotence,” but it is not. From an epistemological point of view, saying that God can do anything is unsustainable; from a biblical point of view, is also incorrect. From a biblical point of view, “God’s omnipotence” means that He has all the power that there is to have. Jesus said that “with God all things are possible” (Matthew 19:26; cf. Luke 1:37; Job 42:2; Jeremiah 32:17), but again, this possibility is subject to what power can accomplish (what is possible to do); and in the case of God’s power, this possibility is harmoniously regulated by all of the other components of His divine nature or character. Therefore, God’s omnipotence may be defined as “the attribute by which God adequately carries out whatever He wills in accordance with His nature” (Heidegger, in Bromiley, 3:594). It is a logical and scriptural mistake to think of God as a being that is only omnipotent—to the point of forgetting all of His other divine attributes. God is the sum and totality of His attributes, and not one of His attributes is severed from His nature—including His omnipotence. God is omnipotent, but since He is also loving, holy, and just (Psalm 119:137; Hebrews 1:8; 1 Peter 1:16; 1 John 4:8), then His harmonious omnipotence cannot trample the former attributes. The Bible is clear concerning God’s attributes and power; thus, it records, among other things, that the omnipotent God cannot lie (Titus 1:2), cannot be tempted by evil (James 1:13), cannot deny Himself (2 Timothy 2:13), and cannot ally Himself with Satan (cf. Matthew 12:22-37). However, this does not mean that He is not omnipotent; rather, it means that He is a Being Whose nature and attributes are completely perfect and coherent. Since the erroneous concept suggesting that “omnipotence” means that God can do anything has been discarded, then this opens the doors to the possibility that Christ’s death was an event completely necessary in God’s plan. And certainly, this is what the Bible clearly indicates. It is true that a “God purely omnipotent” could save lost humanity in many ways, but here is the dilemma of the God of the Bible: All men are sinners (Romans 3:10-18), and the wages of sin are separation from God and death (Romans 3:23,26). And since God is as just as omnipotent, then He cannot justify a sinner based on the prerogative of “absolute omnipotence” (cf. Exodus 34:6-7). A God Who arbitrarily justifies a sinner could continue to be loving and omnipotent, but He could not continue to be just. And if God is not just, then He is not the God of the Bible. The only way God could preserve His holiness and justice and at the same time justify the penitent sinner was to offer the suitable payment for sin. This necessary and unique payment was the sacrifice of His Son. We understand this concept very well. When someone steals something and is taken to court, justice demands restitution. A judge cannot be just and at the same time absolve someone from his crime. The criminal needs to pay for his crime, or someone else must do it. Since man is incapable of paying the price of sin, then Someone else (Jesus) had to do it (Isaiah 53). But was Jesus’ sacrifice the only solution available to the omnipotent God? Here we need to note that the fact that only one way of solution is present does not in anyway mean that omnipotence is void. In the end, if availability of only one way limited omnipotence, then this would mean that the omnipotent God would be forced to produce unlimited ways as His omnipotence is unlimited. But again, biblical omnipotence does not require this, and the Bible repeatedly indicates that Christ’s sacrifice was not only necessary, but also unique. This was, and is, the only means of salvation; there was not, and there is not, a divine Plan B to redeem man (John 14:6; Acts 2:23; 4:12; 1 Timothy 2:5; Hebrews 2:10-14; 7:11,26; 9:22,28; 1 John 2:2). The Lord’s prayer in the agony prior to the cross adds to this fact. 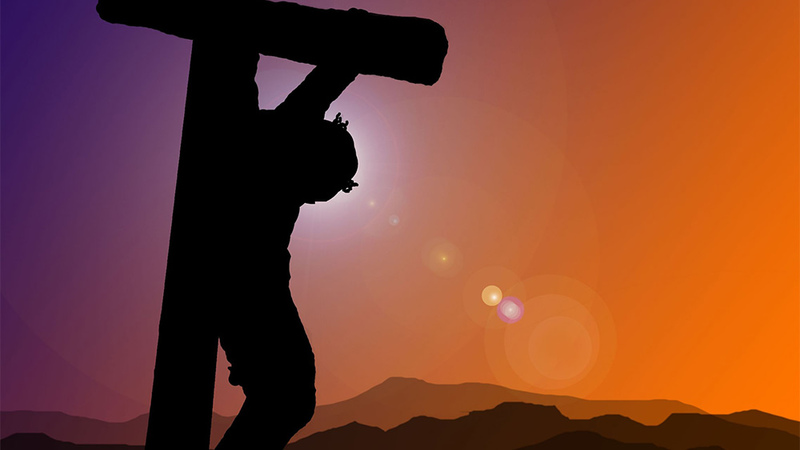 Jesus cried to the Father: “O My Father, if it is possible, let this cup pass from Me; nevertheless, not as I will, but as You will (Matthew 26:39, emp. added.) And again: “O My Father, if this cup cannot pass away from Me unless I drink it, Your will be done” (vs. 42, emp. added.) Divine silence in the scene of the cross emphasizes the impossibility of redemption without the sacrifice of the beloved Son (Matthew 27:46). In view of man’s sin and God’s justice, the sacrifice of Christ was completely necessary—in spite of divine love and omnipotence. If there had been another means of salvation, would the loving Father have chosen His Son’s death? Would a father choose that resource if there was another available option that would avoid heartless and cruel abuse of a beloved one? The fact is that suggesting that Christ’s sacrifice was not essential in God’s plan is to imply that God performs rituals that are unnecessary and nonsensical, that His method is imperfect, and that His love is lacking. For the Christian, the essentiality of Jesus’ sacrifice should be a clear emblem of the awful nature of sin, the great love of the Father, and the highest abnegation of the Son. God demonstrates His own love toward us, in that while we were still sinners, Christ died for us (Romans 5:8). Bromiley, Geoffrey (1986), The International Starndard Bible Encyclopedia (Grand Rapids, MI: Eerdmans).